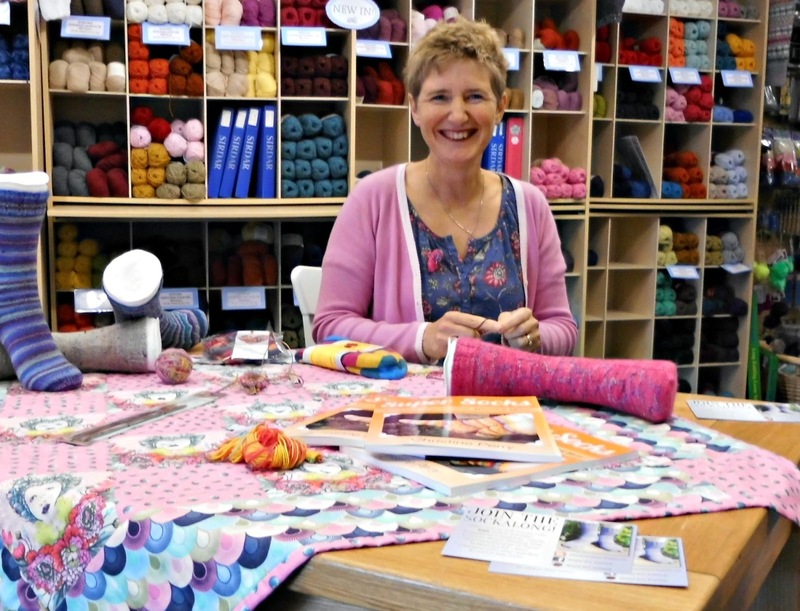 The Winwick Mum Sockalong started on 3 May 2015. Did I have any clue then how many people around the world would be knitting socks, sometimes fulfilling lifetime ambitions to do so, and swelling the contents of their sock drawers? Could I ever have guessed how much I would enjoy being connected to so many knitters, sharing conversations and experience across the world and seeing social media working at it's very best? Did I ever imagine, just four short months ago, that I would be sitting in Black Sheep Wools talking socks and signing copies of my very own book? We never know how our lives are going to unfold, but I do know that I am very grateful for the direction that mine is taking. I could happily talk socks from morning till night and never get tired of seeing people's achievements, from the first cast on to the "happy dance" in their new pair of socks. Who knows what will happen from here, how many more pairs of socks will come into existence and how many people can tick "sock knitting" off their lifetime lists - but I couldn't have got here without your support, so thank you. Thank you very much. What an achievement, Christine! I'm one of those who 'ticked sock knitting off the list'. I'm currently working on a second (lacy) pair which I would never have tackled without your sockalong. And I have the yarn for a further 3 pairs already . . .